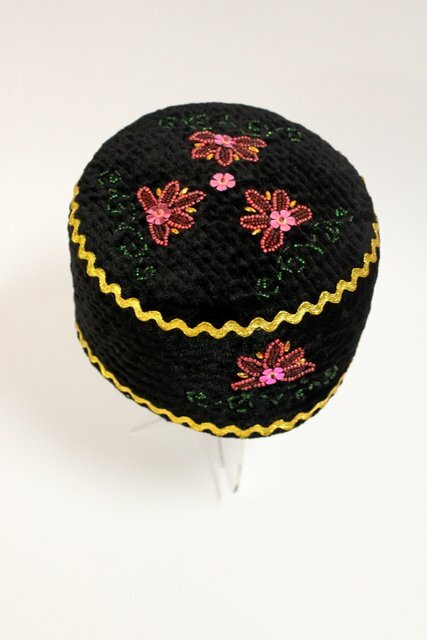 Kelepush is one of the two varieties of the traditional Tatar skullcap that the Kazan Tatars usually make of black or dark blue velvet with embroidered patterns. 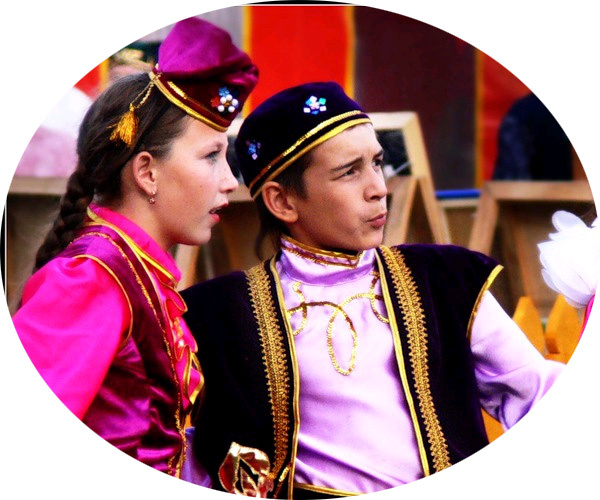 The Siberian Tatars call this headgear the kebets and wear it during family celebrations and religious holidays. Unlike hemispherical skullcaps (takyya), the kelepush has a form of a perfect low cylinder, though the prolonged wearing gradually deforms its base, turning it from flat to rather convex, then it would take an expert to tell a kelepush from a takyya.